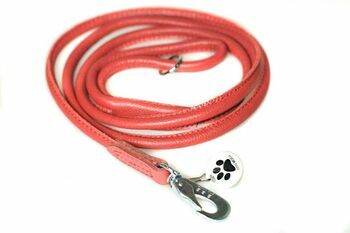 We make this dog lead by rolling fine red leather over a nylon rope, making it extremely comfortable and soft, yet strong and durable dog leash. Rolled dog lead comes complete with our special extra safe Scandinavian chrome coloured trigger hook. Top quality black rolled leather dog lead at a great price. 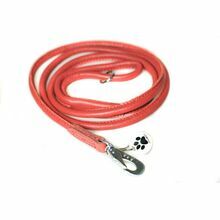 This orange rolled leather dog lead measures 6 mm in diameter and is 1.5 meter / 5 ft long. Rolled leads are available in a number of colours and designs. 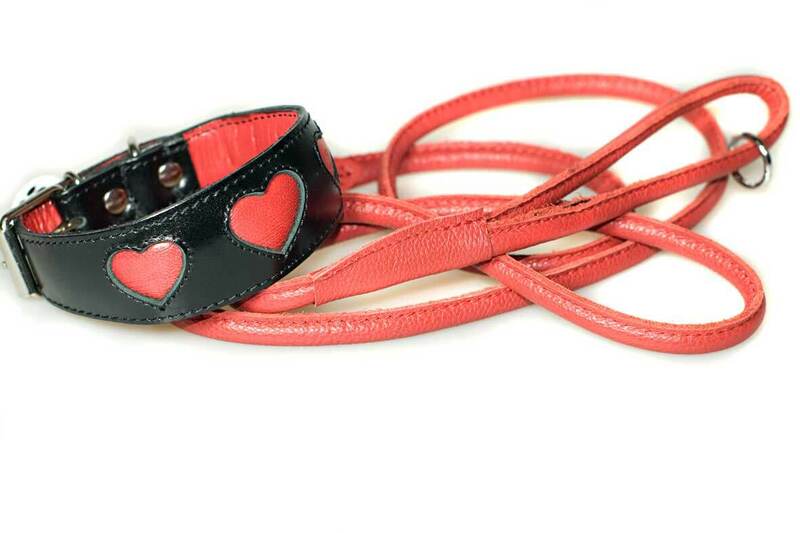 Currently leads come in black, brown, tan, white, red, coral, orange and fuchsia pink leather. 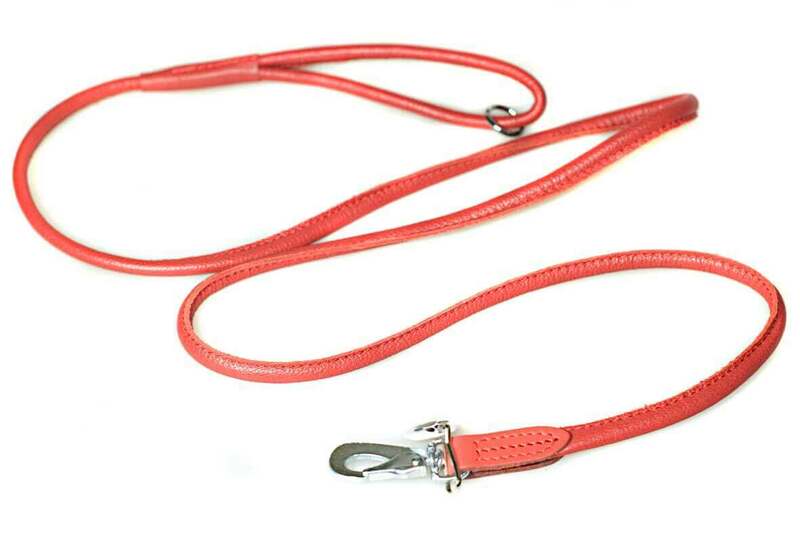 We also slip versions of these dog leashes available. 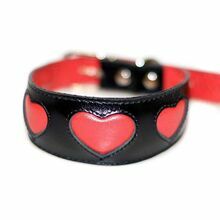 Just to let you know that Arabella’s new collar and dog lead arrived an hour ago. We are both very, very pleased with them, so thank you so much for all the trouble you took to find the right colour lead.